Welcome to another blog and income update. This month was pretty similar to last month with almost same traffic and income. I am happy to see there is no dip in traffic and I will tell you shortly what I did to keep the traffic at the same level. Last month was quite eventful for many reasons. My main blogging list increased exponentially, and there has been a good increase in organic traffic too. There is something I want to share with you. I recently got a comment from one of my readers asking me why there is a dip in my income. This got me thinking about the kind of expectations new bloggers might have regarding growing their income. Blogging is a business, and like any other business, you will see ups and downs. And it is totally normal. There might be many reasons for a dip in income/traffic like season, your participation in growing your blog, technical issues and many other things. 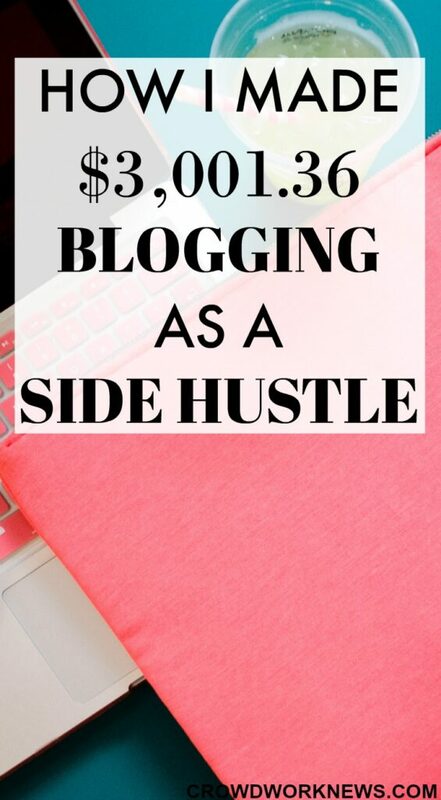 But there is a big advantage that blogging has over any other hustle, it’s passive income. For example, I wrote a blog post in March, and till now it has earned me over $5,000. Though I spend time in promoting it, the writing part was only once. I am not saying you are going to get rich within a year by starting a blog. But if you put in the hard work and use the right strategies, then this is possible to make money from a blog. Like last month, page views were around 100,000. When your traffic is mostly from social media channels, it can be affected by seasonal changes. My Pinterest page views were pretty much the same as last month. Some of the posts published previous month did get good traction. Diversifying my traffic is also on my to-do list, and I hope to do this soon. I understand that depending on one source of traffic is not a good long-term strategy. I am delighted with my list growth. It was always a big challenge for me to grow my subscribers and I am slowly getting there. My subscribers are at 3,700 and around 20-30 subscribers are getting added every day. Apart from my other freebies, my free blogging email course and my recent opt-in are doing good. Every email that I get from my subscribers gives me more inspiration to create more useful content for them. I have been spending 80% of my time on Pinterest (most of the pro bloggers suggest spending 20% of your time on creating content and 80% on promoting it). I have been creating more related boards, trying out new pins times and experimenting with new pin sizes. One thing that’s changed since last month, the number of my followers is increasing. The Pinterest course that I bought last month digs quite deep into all aspects of Pinterest. If you are not a new blogger and are stuck with your traffic, then you will love the content of this course. But my all time favorite Pinterest resource which still helps me to get traffic is Pinteresting Strategies. My traffic from Facebook is growing, and I also see an increase in organic likes. I do experiment with Facebook ads once a month, changing some parameters. The reach of my posts is growing which means the timings and the kind of posts that I am sharing are working. This social media needs a lot of attention from me which I am unable to give right now. I always end up promising myself to spend time on Twitter. Hopefully, I will do it in coming months. But for now, I am sharing others posts. If you have read any of my other blog updates, you know by now that I love photography and Instagram. After Pinterest, this is the social media platform that I really love. My followers and engagements (which is more important) are growing slowly on this social media channel. Instagram is one platform where I get to share my passion towards photography and travel apart from blogging. Last month, I earned $3,001.36 from my blog. The earnings were mostly through affiliate marketing and ads. As I mentioned before, income was slightly low than the previous month. But what I am happy about is, I had more affiliates last month which helped in diversifying my income. I know when it comes to affiliate marketing, it can be tempting to promote everything under the sun. But you will see good results only if you promote the products that you believe in and which are highly recommended. My affiliate marketing journey started when I bought Making Sense of Affiliate Marketing course. As a new blogger, every term or word in affiliate marketing can be very confusing. I was lucky to have invested in this course because it taught me everything and anything about making money from my blog with affiliates. If you are a newbie in blogging, then you need this course to monetize your blog. Last month I worked on creating a BIG freebie for my readers, which is giving me good results. Apart from working most of the time on Pinterest, I dug deep into Google Analytics to bring up my traffic, let’s see how that does next month. I had some sponsored post offers last month, but they were not suitable for my niche. If you are looking for detailed info about the sponsored posts, then read this post from Tracie Fobes. I am working on another FREE course which I planned to launch in November but could not. I am trying to make the course absolutely loaded with great content for my readers. Hopefully, I will be able to launch the course in December. I have not been looking at my traffic stats in Google Analytics since around 3 months. I believe that is one of the reasons for the dip in the traffic. I know blogging can be overwhelming sometimes, but it is very much vital that you analyze what is working and work on it. Last month was kind of a proof for me that if you create good content, you will surely get results. My freebie which I created last month is getting over 10-15 subscribers to me every day. For the next quarter, my goal would be to break this plateau with page views and also income. I love experimenting new strategies, and hopefully, I will see some change in page views and revenue in the next couple of months. Next month would also be the time when I launch my new FREE COURSE. Watch out for it! Update: All the below resources have helped me immensely reach this point. I highly recommend them, and they can be quite helpful to all of you no matter at what stage of blogging you are. I am happy to answer any questions you may have about these resources. Hi Sireesha, I found your blog when I was doing research for a post related to home-based businesses. I absolutely love the work-from-home tips and income reports that you’re sharing with your readers. Thanks for doing this.